This lens has 15mm diameter but 16.2mm effect. Natural brown color with black outer ring. Unlike Mimi Almond Brown, I think this Almond color is more obvious than Geo. I wear this lens A LOT now, hahahaha. Hmm, just like what I've said before. 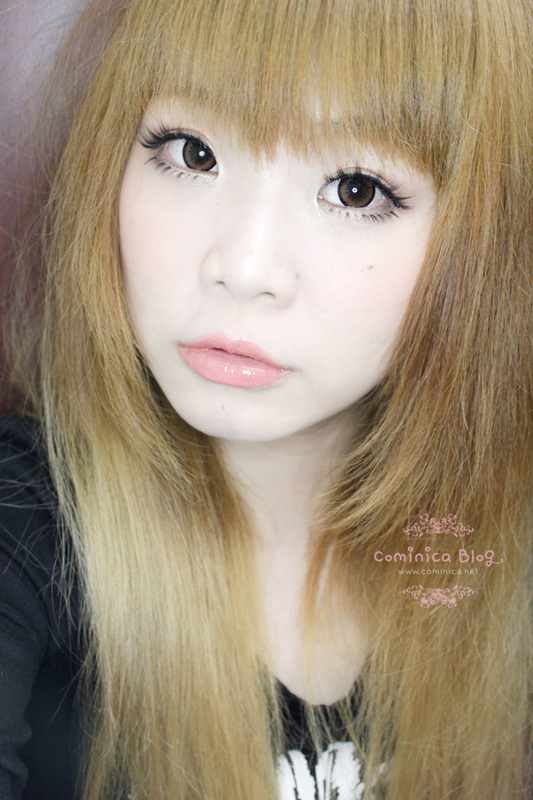 I love Kyary's eyes now, it gives a lonely and lifeless doll feeling. That's why I'm going to wear this kind of dolly lens more often. Hahahahah and it makes me look younger too. 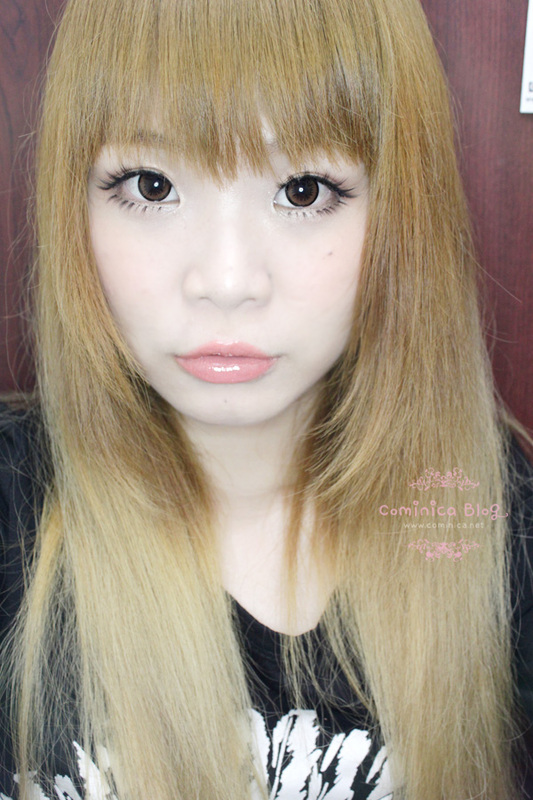 I.Fairy Almond Brown contact lenses have an attractive almond colored inner ring which is covered by a black outer ring. It lends and pleasant and natural look to your eyes. The material used for these lenses doesn’t hurt the eye (´∀｀)♡. In fact these lenses provide great comfort to the eyes. And I don't have any discomfort while wear this lens. I.Fairy has the most comfortable lens ever. These lenses are designed to give your eyes the Big Eye effect. My eyes look big and dolly but still not over like other black lenses. It gives 16mm enlargement and still look natural. I got mine at Lens Village, kindly click this link and go directly to the website. That's good to know! Because I like the design of them a lot, but even though most bloggers wrote the GEO ones were super comfortable I hated wearing them. They altered my vision too much. So maybe I will try out this alternative some day. i have never tried I.Fairy lenses before. Woah the effect of this looks really good!! Looks very natural yet the brown shows up well! And yes watson carry jewerich lashes now!! I saw some DUP lashes as well. It's great they are bringing in more japanese lashes which are so hard to get. Wow, I'm surprised that a 15mm can look so natural. It suits you very well! :D I really love the design. These are cute! Suuper dolly! Love brown lenses on you :)! Aku belom pernah mencoba soflens gitu, karena soflens tidak mengeluarkan produk untuk mata minus campur silindris. Mataku bercampur minus+ silindris, kanan-kiri lagi. Kira2 brand apa ya soflens untuk masalah mataku ini?? I love all the lenses. Because all are great. specially the brown one , suits on you.